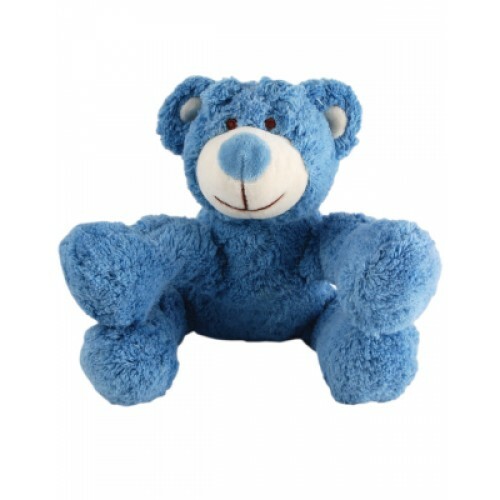 Simply Fido Wally Blue Bear 6"
Home » Puppy Playthings » Simply Fido Wally Blue Bear 6"
This is Wally Blue Bear from Simply Fido toys! The plush blue fabric on Wally will make him one of your dog's favorite toys! His five squeakers to entertain your dog for hours. With one squeaker in the main body and one at the end of each arm and leg. Bear is made from eco-friendly organic bamboo cotton and is very durable. This means you can feel safe to wash Wally without fear of damage. Wally is the perfect plaything to please your pup. Simply Fido Leo Lion 10"